- In 2004 The Great Hunt was re-released as two separate books, The Hunt Begins and New Threads in the Pattern. 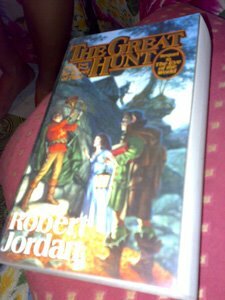 - The Great Hunt was originally designed to be a part of Book 1, which eventually garned its own separate book in the series. 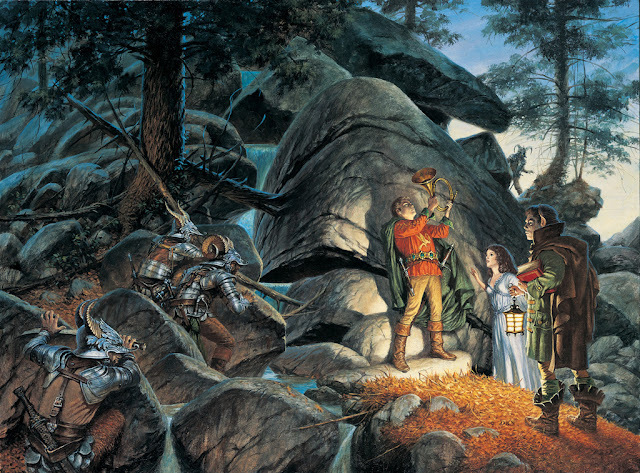 - The Wheel of Time, the series where this book belongs to, was not finished by Robert Jordan because the author died before he could publish the last books. It was continued by another author also known in High Fantasy genre: Brandon Sanderson. The Wheel of Time turns and Ages come and pass. What was, what will be, and what is, may yet fall under the Shadow. For centuries, gleemen have told of The Great Hunt of the Horn. Now the Horn itself is found: the Horn of Valere long thought only legend, the Horn which will raise the dead heroes of the ages.And it is stolen. With the usual opening lines (after the Prologue): "The Wheel of Time turns, and Ages come and pass, leaving memories that become legend. Legend fades to myth, and even myth is long forgotten when the Age that gave it birth comes again," the second book of the ever entertaining Wheel of Time series -- entitled The Great Hunt -- kicked off with a great start. The Great Hunt consists of a prologue and 50 chapters. The main story is about a group of young heroes, namely Rand al'Thor, Mat Cauthon, and Perrin Aybara, ta'veren all, who join Shienaren soldiers in a quest to get the Horn of Valere out of enemy hands. At the same time, Egwene al'Vere, Nynaeve al'Meara, and Elayne Trakand go to the White Tower in Tar Valon to begin learning the ways of the Aes Sedai. And finally, in a distant land, a strange group of people start an invasion of the western coast. The second book of the series, begins in the north where some objects of great value are stolen by Darkfriends. Rand is forced to face the group he fears most -- the Aes Sedai -- for fear of what they might do to him. Mat continues to slowly lose strength as an evil continues to grow inside of his body. While Egwene and Nynaeve prepare to travel to Tar Valon to learn to be Aes Sedai, Rand travels with Mat, Perrin, and the Lord Ingtar of Shienar in a quest to catch up with the thieves, and to save Mat.